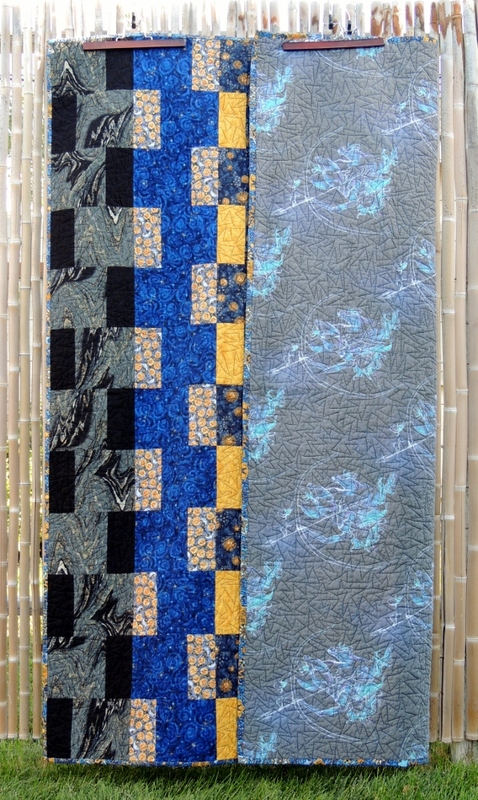 I went to my super special private stash and picked out some beautiful fabric (I have this thing for yellow and blue and celestial themed fabric you see…). I found a pretty simple pattern in a quilting magazine that worked well with the larger prints I had selected. I was also really attracted to how the pattern was done in pairs, which I found symbolic for their upcoming marriage. The quilt top came together really quickly. 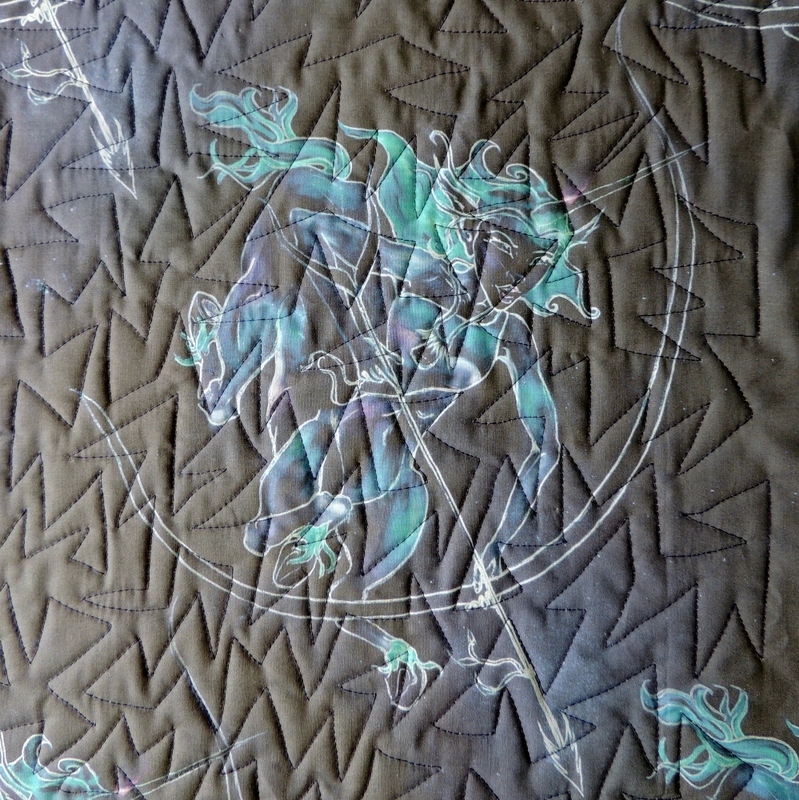 As you can see in the above quilting detail image, I chose a pointy meandering quilting pattern. 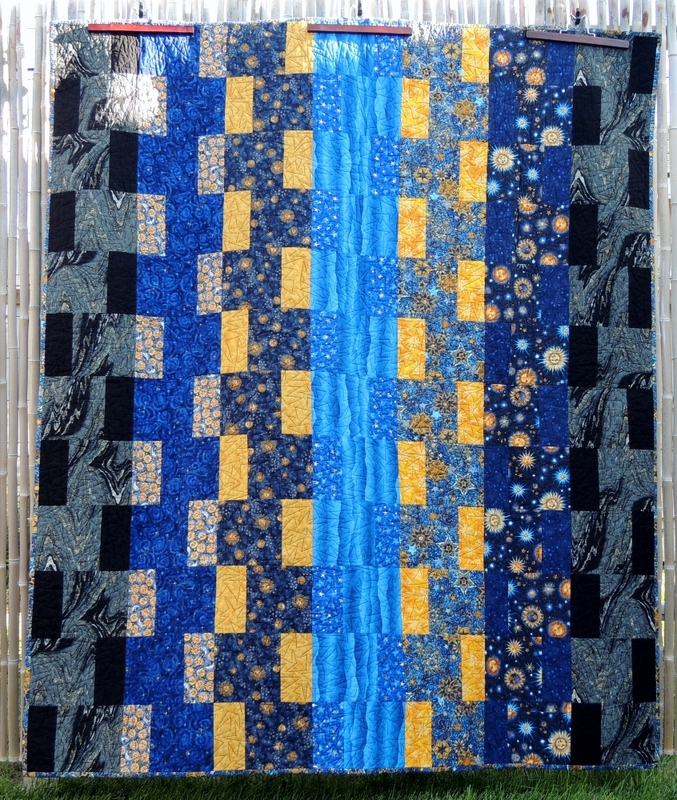 To me, the pattern evokes the points of sun rays or stars and fits really nicely with the overall theme of the quilt. 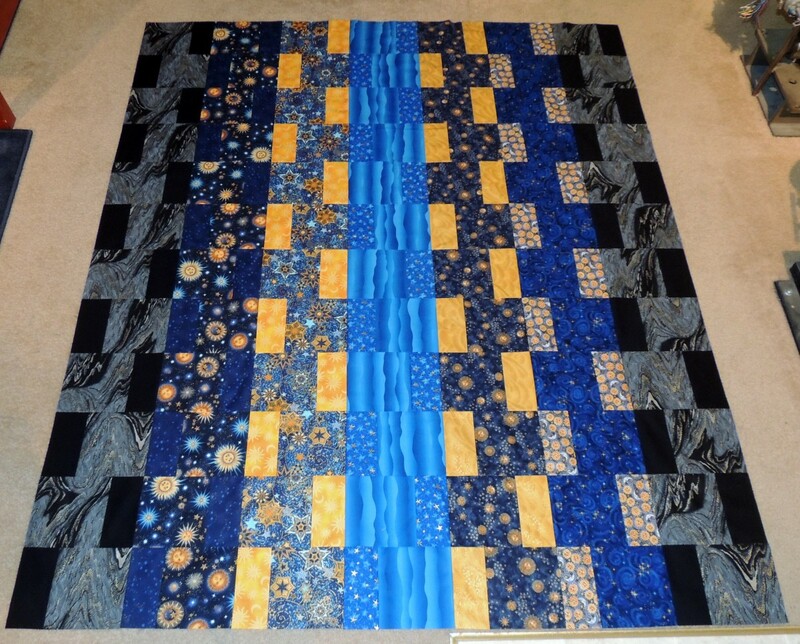 This is the largest quilt that I have quilted myself, to date. I am really excited by all the possibilities that my new Bernina is opening up for me, and it is thrilling to be able to free motion quilt and do all the work on my quilts from start to finish! Quilting is such a joy for me!